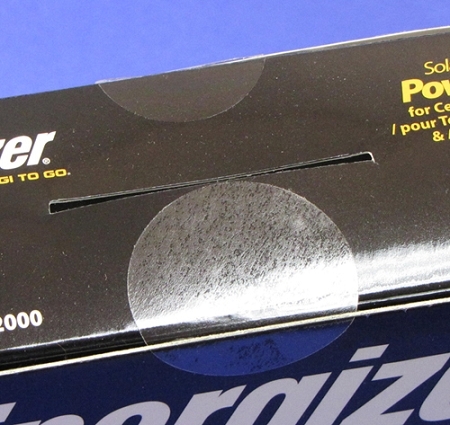 For projects requiring especially strong adhesive, try our Super Stick or Extreme Stick clear round labels. 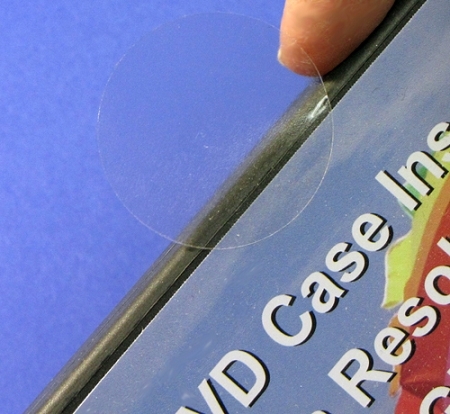 These crystal clear round labels give your finished product / package a professional look. 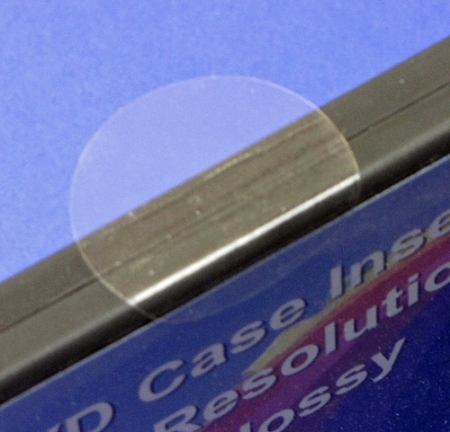 Because these "Ultra Clear" seals are a see thru clear poly stock, they will not cover or hide the images or text on your packaging. They have a permanent pressure sensitive self-adhesive. 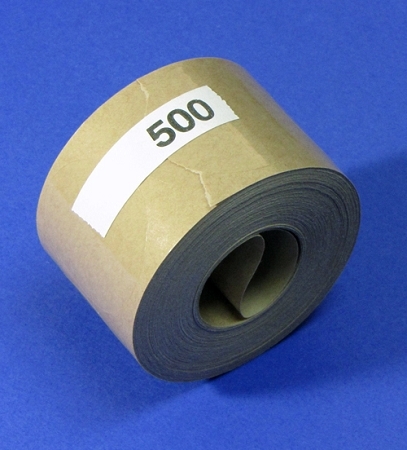 We manufacture these on both white and brown paper backings, the color does not affect label performance in any way. 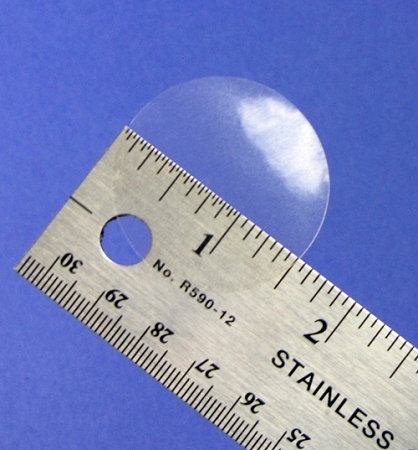 These clear round label seals can be used for medical packaging, sealing software boxes, pharmacy retail boxes, sealing electronics, sealing CD cases and sleeves and mailing seals. Because they are 1.5" in diameter, they meet USPS regulations for mailing seals on booklets and brochures also. They are not perforated. Label thickness is 2 mill.